The Shenandoah University Eleanor Wade Custer School of Nursing is offering a Patient Navigator Certificate (PNC) for licensed registered nurses (RNs) seeking to pursue Continuing Education credits. Hospitals and large physician practices nationwide are enrolling individuals as well as groups of up to 20 RNs into the program because of its ability to manage complex cases more cost effectively and lower readmission costs by helping patients make well-informed health care decisions. “Coordination of complex care requires the expertise of registered nurses, as there is no substitute for their assessment skills and knowledge base in handling patient care,” said Lisa M. Darsch, MSN, RN, director of the Patient Navigation Certificate program. Navigators fill the education voids that are sometimes left in the hospital discharge process by being readily available to help patients navigate the healthcare system and set them up with services they need to become more autonomous in their care. Depending on the system, navigators serve patients in offices and clinics or they accompany them to appointments with specialty doctors or family physicians. They facilitate communication between the physician and patient/family and work with the patient to assure they understand what was discussed during an appointment. 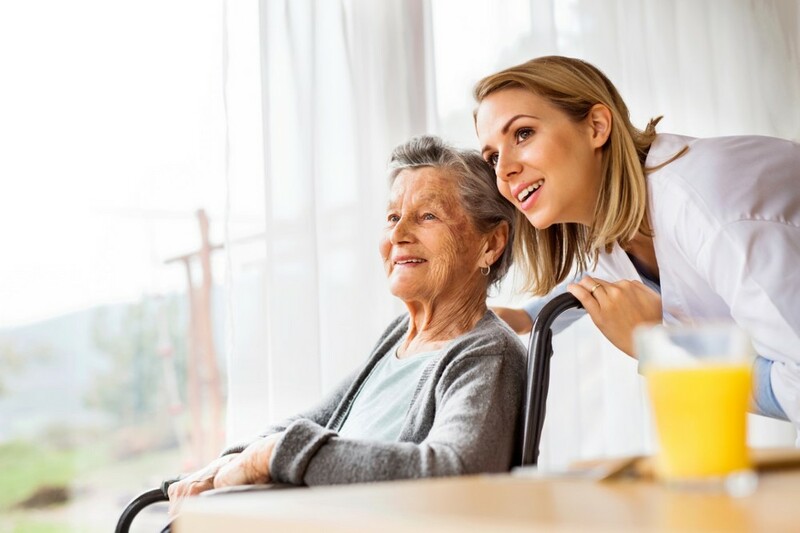 They also connect patients with community resources that allow them to stay in their homes or help transition them from acute care into home health as well as assist them in admission to nursing homes, hospice and palliative care. Shenandoah’s PNC was initially developed based upon an existing program at Inova — a health system that serves more than two million people each year throughout the Washington, D.C., metro area and beyond — to address the needs of complex patients needing consistent follow-up. But now, the certificate — designed to help hospitals avoid unnecessary admissions and provide cost savings in outpatient treatment by preventing complications — is offered to all area hospitals with custom classes now available across the nation. The cost for the Patient Navigator Certificate is relatively inexpensive, with hospital group classes offered at $25,000 for up to 20 enrollees or $2,000 each for individuals, and the 40-hour course can be offered just a few days to a week. The program consists of four basic modules. One module introduces navigation and the navigator’s role, which is very different from case management. Another module covers change theory for nursing, while another of the modules covers resource management and providing assistance to patients living on limited incomes, including Social Security and small pensions. over the first six months of the program, with soft cost savings of $158,000 for the five-highest A1C patients. “The financial numbers are staggering in savings in just the first year of operation for an organization,” said Darsch. For every one-point drop in the A1C, there is a 40% drop in eye, nerve and kidney problems, which can result in an additional five years of life and eight years of vision, along with six years without developing kidney disease. “At Inova, we went from 125 patients with congestive heart failure and two or more admissions, to only 50 patients by the end of seven months,” said Nancy Loeffler, RN, assistant vice president and chief nursing officer at Inova Medical Group in Falls Church, Virginia, who also serves as an adjunct instructor for the patient navigation certificate at Shenandoah University. “At the end of 30 days, there were only 10 patients with a 30-day admission, and at the end of 90 days, there were only five. With patient navigators in place, hospital-based case managers have an excellent option if they need to hand over complex case care coordination to another well-trained health care professional. Patient navigation is also an attractive option for nurses with clinical expertise who want to experience a new perspective in patient care. “Navigators manage their own schedules, and with thousands of dollars spent annually in new nurse orientation, this avenue of work allows employers to retain nurses who may have otherwise left the system,” said Darsch. Ready to Bring Patient Care Navigation to Your Organization?